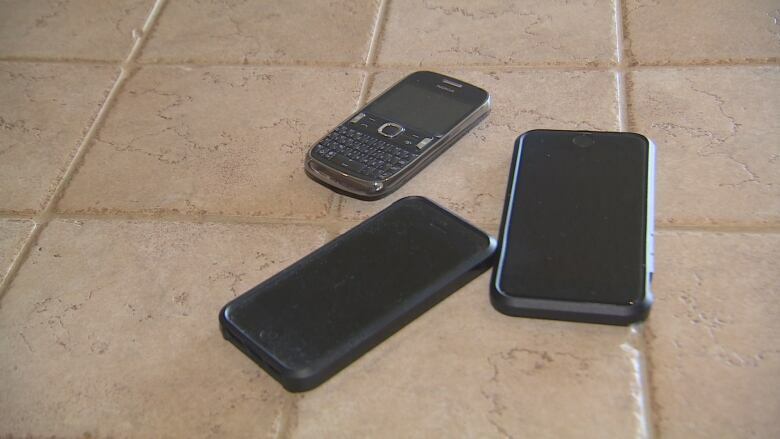 Like many Canadians, Toronto police officer Keith Tauro recently got a voicemail message, part of an ongoing scam, saying he owed the government money. He decided to call the scammer back — and convinced the man at the other end of the phone to tell him just how his operation works. Like many Canadians, Keith Tauro has been plagued by a Canada Revenue Agency (CRA) phone scam, getting voicemail messages from someone pretending to be a CRA investigator saying that he owed the government money. Unlike many Canadians, Tauro is also a police officer — a constable who has been with the Toronto Police Service for 10 years. He got a call from the scammers on Aug. 15; his father-in-law had received one just the week before. So he decided to put his skills as a veteran officer to use in his time off, and try to learn more about the calls. He bought a so-called burner phone to call the scammers back. He used a different name every time he phoned, and his primary objective, he told CBC News, was to tie up the scammers' lines. "Because if you're on the phone with me," Tauro says, "you're not taking money from someone else." And then, on Aug. 17, he got a scammer willing to dish about his business. They spent about 15 minutes on the phone, chatting. Tauro recorded the call. "I think it was just him bragging. He was just trying to brag, to say this is what I can do." CBC News listened to that recording. In it, the scammer describes his process in some detail. He says he is in North Carolina, and the profits of the scam are split between the three organizers; he claims he can make $30,000 or $50,000 a month. The way the scam works, the man at the other end of the phone explains, is using auto-diallers which can reach up to 100 people per minute, and leave the voicemail messages. About 30 salaried staffers (who may or may not understand exactly what's going on) answer the phones when people who believe the messages to be legitimate call back — and tell the callers how much they owe — an amount one of the organizers makes up. Tauro has no idea how much of what the man said is true. But he does know people are receiving the messages, and it's that element that concerns him. "When you're doing that, you're sort of guaranteed that most of the people calling you back are the ones that you can scam," Tauro says. "You've completed most of the work by just auto-dialling and leaving a message, cause who would call you back? Someone who is more likely to be scammed." Both local and national authorities told CBC News they receive multiple reports about the CRA scam every day, and describe it as an ongoing concern. Tauro says he's passed his information along to his colleagues in Toronto Police fraud unit. And after seeing a CBC News report on the same scam — and a woman who talked one of the callers into admitting it was all a ploy — Tauro also decided to talk about his experience publicly. "That conversation had information," Tauro says of the call he recorded, but it's more to do with the character of the people involved than the specifics the man provided, such as his location. Nailing those details down would require a formal police investigation and take time. "But for today, I don't want people to be defrauded ... I want potential victims to not turn into actual victims."